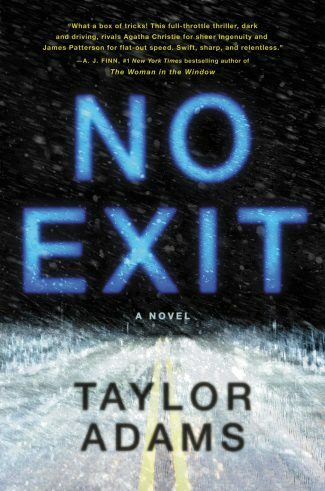 No Exit by Taylor Adams is about four strangers, a blizzard, a kidnapped child, and a determined young woman desperate to unmask and outwit a vicious psychopath. What would you do if you were snowed in at a rest stop and someone, out of the four other people snowed in with you, had a little girl in a cage in his van outside? That’s the dilemma that Darby finds herself in after she tries to make her way to her sick mother’s hospital bedside and finds herself stranded in a ferocious Colorado snowstorm. It’s lucky she finds the little rest stop, because her little Honda, nicknamed Blue, isn’t going to make it much longer. And while it’s fortuituous she’s not stranded elsewhere, being in Colorado at all isn’t ideal. Her mother is being prepped for surgery and although Darby’s sister is at her bedside, Darby has a lifetime of regrets to make up for, and the least she can do is be there for her mom when she needs her the most. The only thing Darby can do is bide her time and make the most of a crappy situation. Fortunately for us, but unfortunately for poor Darby, Taylor Adams doesn’t take much time before he drops her into the proverbial fire. Darby’s on her way back from a trip outside in search of some cell phone service when she makes a horrifying discovery while passing a van parked in front of the rest stop. The van had two rear windows. The right one was blocked by a towel. 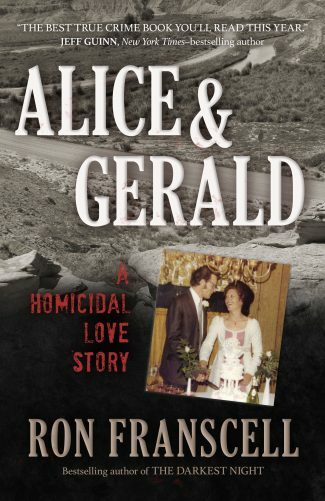 The left one’s towel had fallen away, leaving clear glass that caught a blade of reflected lamplight as Darby passed it, and in it, she glimpsed something pale inside the van. A hand. She halted midstep, a breath trapped in her lungs. This little hand gripped a grate-like material behind the icy glass—white fingers gently unwrapping one by one, in that uncoordinated way of a child still mastering their own nervous system—and then abruptly, it drew back into the darkness. Gone from view. It all happened in three, maybe four seconds, leaving Darby in stunned silence. The interior was quiet. Motionless again. If you’re not thoroughly creeped out by that yet, just wait. Darby has to go back into that rest stop and figure out who is keeping a child in a cage in their van without giving herself away. Is it middle aged and affable veterinarian Ed and his cousin, the scrappy Sandi? Darby doesn’t really think so. How about Ashley, a cute, chatty guy about her age who Darby’s instincts tell her might be a good ally. Her gut tells her it’s probably Lars. Why? Well, because Lars. Darby’s first intro to the charming Lars is the loud breathing she can hear behind her. Jesus, Darby, just turn around. She turned slowly, casually, with one palm up, like she was just obliging Ed’s request to ensure the door was closed properly. She turned—turned until she was face-to-face with the man. Man was a stretch. He was tall but slouching, rail thin, nineteen at most. A weasel-like profile to his acne-encrusted face, all overbite above a shapeless chin shrouded with peach-fuzz whiskers. A Deadpool beanie and a baby-blue ski jacket. His narrow shoulders were speckled with snowflakes, like he’d just been outside, too. But outside doing what? He was staring at her, so she met his gaze—tiny black pupils, rodent-like in their flat stupidity—and returned a shy smile. Ok, so, Lars doesn’t exactly make the best first impression, and he definitely gives Darby the creeps, but we all know that appearances can be deceiving, right? No, I’m not hinting at anything there (I’m really not! ), but this book does have a lot to say about the masks people wear. Is the creepy guy always the killer? Of course not. Again, not trying to hint that Lars is or isn’t responsible for kidnapping that little girl, but it does speak to a larger theme that’s interwoven nicely with a nearly breathlessly nonstop narrative. So, Darby knows that a very bad thing is happening, but she doesn’t (yet) know who’s responsible, or who she can enlist as an ally. Eventually, and inevitably, she makes a decision about that, but is it the right one? 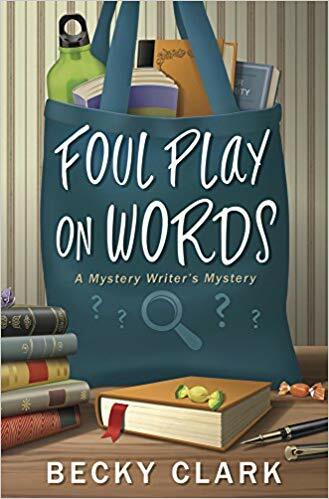 Darby does find out who kidnapped that little girl, whose name is Jay aka “Jaybird,” and she vows to ensure her safety, at just about any cost. To say much more will give too much away, but this is a very, very solid, and at times darkly funny, thriller that veers right into horror territory a few times and is ready-made for the big screen. There are more twists than you can shake a nail gun at and I actually gasped out loud a few times. 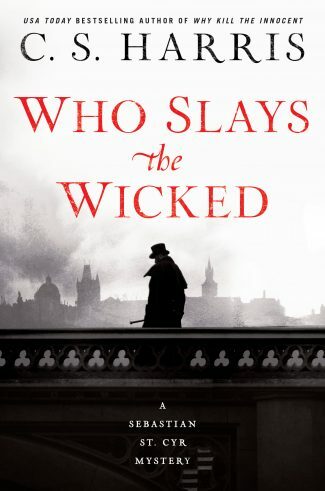 Darby is a fantastic, complex heroine and the wonderful Jaybird steals more than a few scenes on her own. 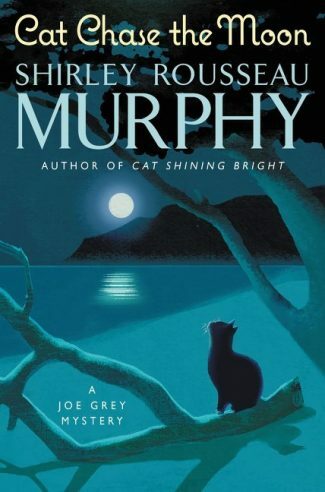 Darby starts this book as a young woman who’s a bit aimless and considers herself a generally selfish human being but discovering Jaybird sets something quite spectacular in motion. You won’t want to put this relentless nail biter down once you pick it up. Don’t miss it!